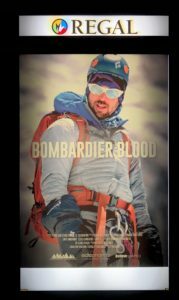 Bombardier Blood: Incredible Journey with a Cast of Characters – LA Kelley Communications, Inc. 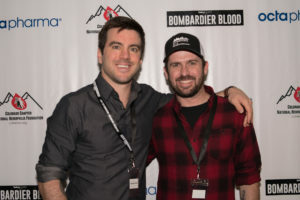 Yesterday I was in Denver, Colorado, to attend the hometown premiere of Bombardier Blood, the new documentary that chronicles the life and achievement of Chris Bombardier, a person with hemophilia B this year who became the first person with hemophilia to complete the Seven Summits. 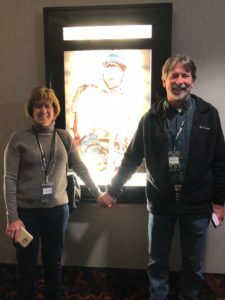 The movie was debuted at NHF’s annual meeting in Orlando, in October, to an audience of over 500. 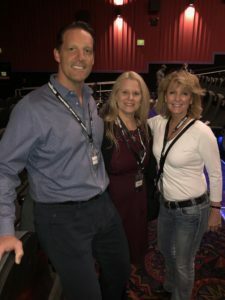 Yesterday, the Colorado Hemophilia Society rented an IMAX theater, and invited the Colorado bleeding disorder community to attend. What a proud day for Colorado! Chris and his wife Jess attended, flying in as I did from Boston, which recently became their new home. Chris’s whole family came: parents Alan and Cathy, Aunt Bev and Uncle Jay Labe and cousin Nicole, and of course, “Crazy” Uncle Dave. And while Chris’s whole family is incredibly warm, down-to-earth and personable, I really wanted to meet this character Uncle Dave! When you see the movie—and you will someday—you will know what I mean! 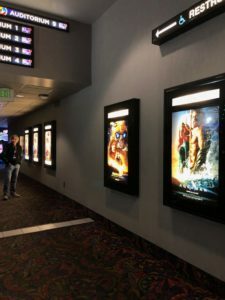 Chris’s poster is right next to Bumblebee’s and Aquaman’s! 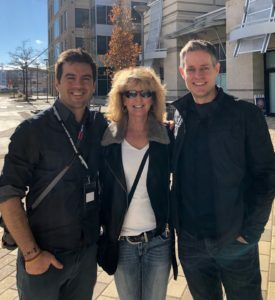 We congratulated the astounding film-making and editing team of Rob Bradford and Steven Sander, who were both present, and thanked expedition and film sponsor Octapharma. 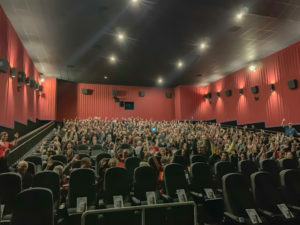 The theater filled with community members—moms, dads, small children, and many of Chris’s peers with hemophilia—holding popcorn, soda and high expectations. We settled into our seats before the mammoth screen, hushed our voices, silenced our cell phones, and the theater darkened. The darkness faded into a scene of Everest, prayer flags, snow and ice, and Chris, trying to skewer a vein in the icy air. The film continued from this moment at Everest, into a 90-minute tale of what it took to get him there. It is a fascinating story of a boy with hemophilia who dreamed of being a baseball player, who was thwarted in his dreams, who suffered depression, anger, who was disconnected from his own local community… until key events unfolded in sequence, “like divine intervention,” one audience member confided. The events included the right people appearing in his life at the right time, until his destiny seemed all but spelled out. This young man would conquer Everest. I took part in Chris’s journey at some point, and have seen this movie three times now. It never fails to inspire. You want to jump out of your seat and get moving, to find your own dream, and then make it happen. If Chris could climb the Seven Summits (a feat only about 450 humans ever in history have done! ), and did it with hemophilia, then what can the rest of us accomplish? We are only limited, it seems, by our own imagination, and our belief in ourselves. 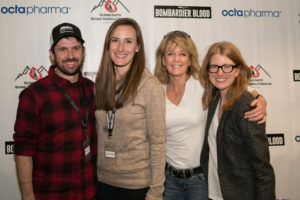 But some new footage was added to this version of the film—the role played by the vivacious and energetic Amy Board, executive director of the Colorado Hemophilia Society. Amy was the person who drew Chris out from the crowd. She encouraged him to come to hemophilia camp, where Chris met someone else with hemophilia for the first time. He saw how the children were active, happy, connected. And Chris became connected. He volunteered at camp, became a mentor to the children. Due to Amy, Chris became part of the hemophilia community. It was the first major step on the long hike to better mental health, a career, a new vision… and ultimately Everest. 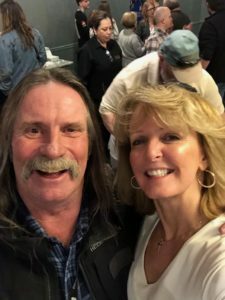 Laurie Kelley meets Crazy Uncle Dave! Chris did not just scale the Seven Summits or make a movie about himself; he has promoted hemophilia worldwide with his life-risking achievement, and he has made a call for action for others, to help those in developing countries through Save One Life. Without Amy, without camp, he might not have joined the community. Without working at the Indiana HTC as a lab tech, he might never have gone to Africa, where his eyes were opened to the suffering of his blood brothers overseas. Without Uncle Dave? Who knows. Bombardier Blood boasts a cast of supporting characters who embody this mystical truth: We never know what ripples we create when we reach out, take a risk, and care about another human being. Chris did it. He made history. First person with hemophilia to scale Everest, and to bag the Seven Summits. And I suspect that Chris’s story is far from over, but is really just beginning.